Offered for a limited time exclusively in Grandview Peaks, the Lake Cottage is built on a finished basement and has a total heated square footage of 2,037′. This home has front and rear porches with a large open viewing deck to enjoy the breathtaking mountain scenery. 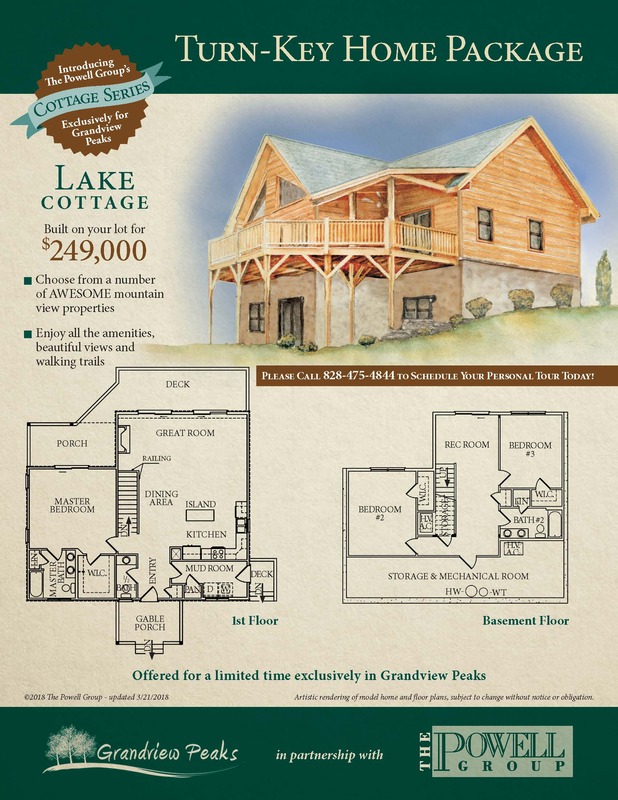 To view more floorplans, get info on all of our preferred custom builders or to schedule a tour, contact us at 828-475-4844 or by email info@grandviewpeaks.com. 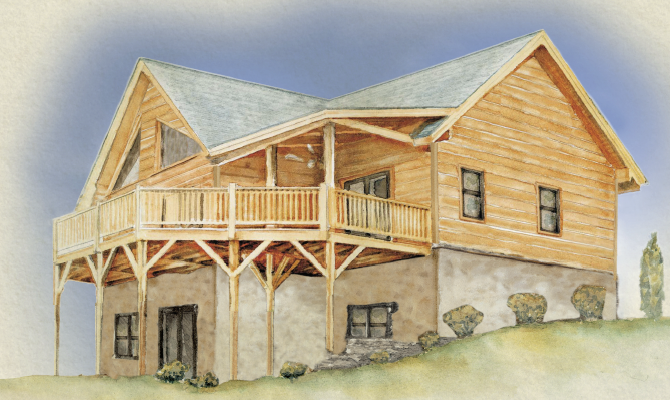 There are ample porches & decks which total 473’ sq. ft. The roofing will be architectural shingles with a limited lifetime warranty.